John D. Chillemi | Ruskin Moscou Faltischek, P.C. 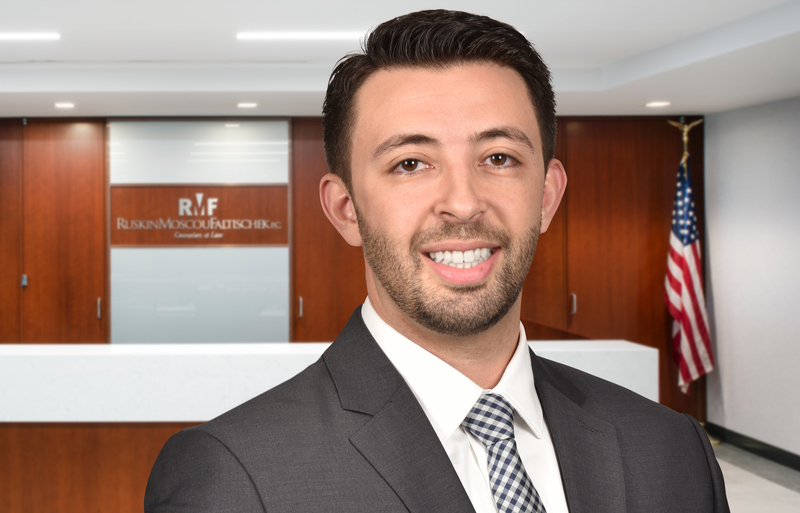 John Chillemi is an Associate at Ruskin Moscou Faltischek P.C., where he is a member of the firm’s Real Estate Department. Mr. Chillemi, a 2015 graduate of St. John’s University School of Law returns to the firm where he was previously a Summer Associate. Mr. Chillemi’s practice focuses on commercial real estate transactions including the acquisition and disposition of commercial properties throughout the United States. He has also assisted on a number of IDA matters, residential real estate transactions and change of zone petitions. During law school, Mr. Chillemi was a Senior Articles Editor of the St. John’s Law Review, where he published The Need for Speed and Judicial Notice: New York’s Admissibility of LIDAR Technology in Law Enforcement, in 2015. He was an active member of the Entertainment, Arts and Sports Law Society, and was head Student Representative of the Kaplan Bar Review. Mr. Chillemi was the recipient of the Vincent J. Crowe ‘47L and James J. Crowe ‘54CBA Scholarship, as well as Dean’s Award for Academic Excellence in Legal Writing and Analysis Recipient. Mr. Chillemi is admitted to practice law in the State of New York and New Jersey.